Your summer holiday spent amidst relaxation and beauty at the “L’Incantu” Thalasso and SPA wellness centre. 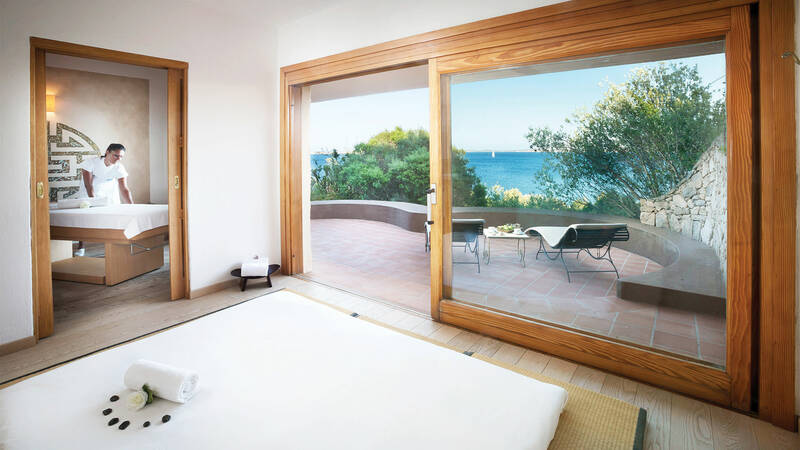 A holiday in the North of Sardinia at the Residence Il Mirto also means being able to combine the comfort and relaxation of a holiday by the sea with wellness treatments at the “L’Incantu” Thalasso Centre and SPA. Thanks to its proximity to the 5 star Hotel Capo d’Orso Thalasso and SPA (part of the Delphina collection) you can enjoy the benefits of seawater and the marine environment offered by the Thalassotherapy centre, or pamper yourself with moments of wellness and beauty by choosing the SPA treatment that you like the most. 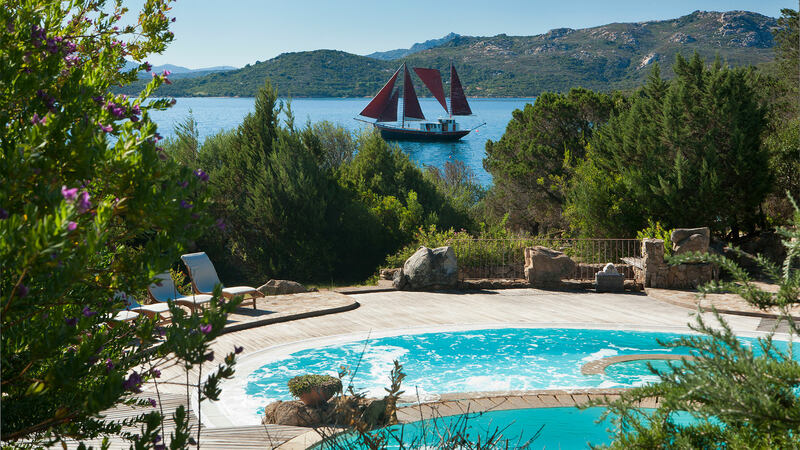 Here you will be surrounded by a unique natural setting just a few metres from the sea and amidst the intense scents and colours of the Mediterranean maquis. To ensure your relaxation there are also three multifunction Thalasso pools with seawater at different temperatures and water-jet massages together with a Jacuzzi pool, all enclosed within a relaxation and sunbathing area equipped with sun loungers. From the Centre’s dedicated reception area there is access to the Turkish bath, the relaxation area with its enchanting view of the sea and chalets for Thalasso programmes, massages and beauty treatments. Several massages are performed in the open air among the scents and perfumes of the Mediterranean maquis greenery. 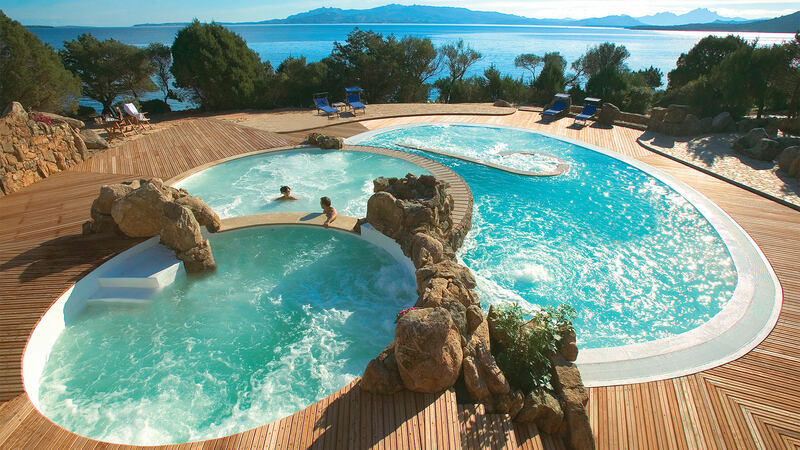 The “L’Incantu” Thalasso Centre and SPA respects the international protocols governing Thalassotherapy by taking the water for its pools and treatments in a continuous cycle from the La Maddalena Archipelago National Marine Park. In addition no chemical purification treatments are used (only micro-filtering) in order to guarantee that the micro-biological quality of the marine environment remains constantly high. The Wellness Centre is open 6 days per week. Access is for adults only, or for young people over 14 years of age if accompanied by their parents or with written authorisation from the same. For mothers-to-be specific packages are recommended which exclude certain treatments. There is a 10% discount on individual la carte treatments if booked together with the holiday. There is also the option of booking advantageous wellness programmes.